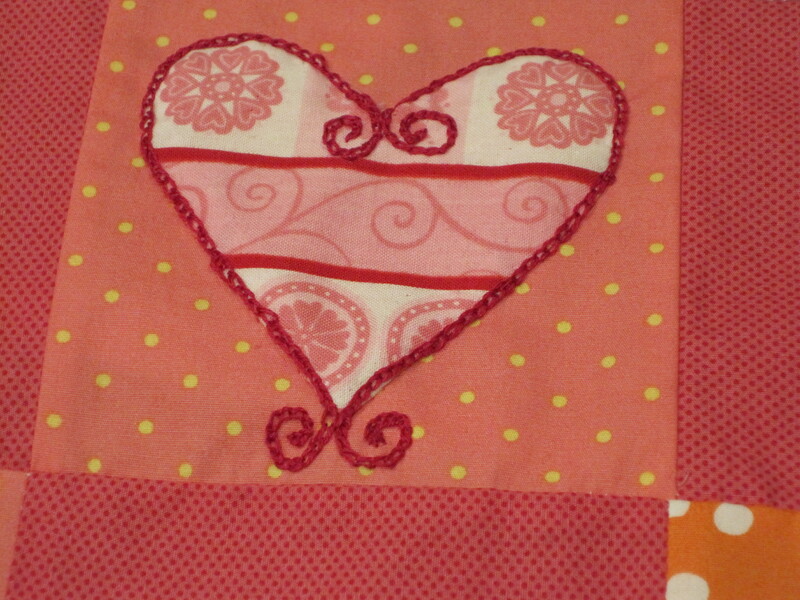 I have done some experimental stitching on the quilt. 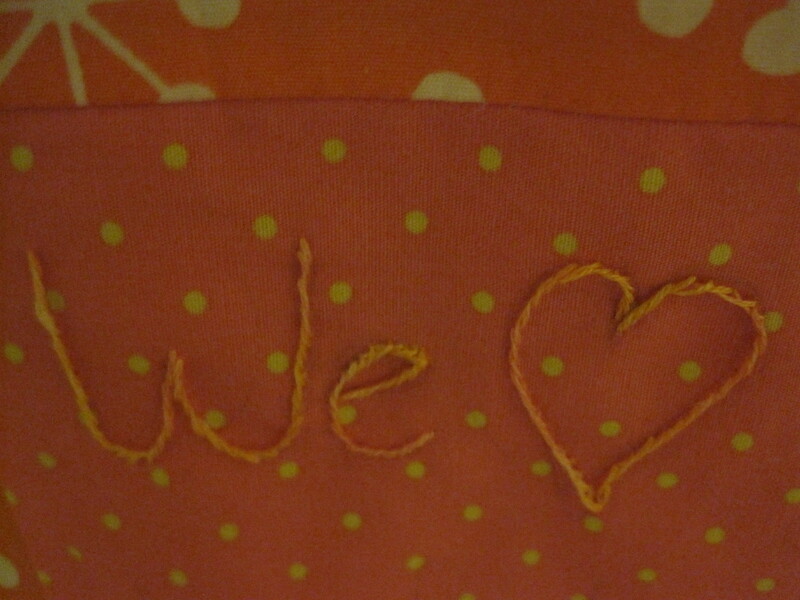 I used stem stitch to stitch letters and a heart but it doesn’t stand out against the background. I used chain stitch around an appliqued heart using a stronger colour and quite like this effect and will redo the lettering in the chain stitch.